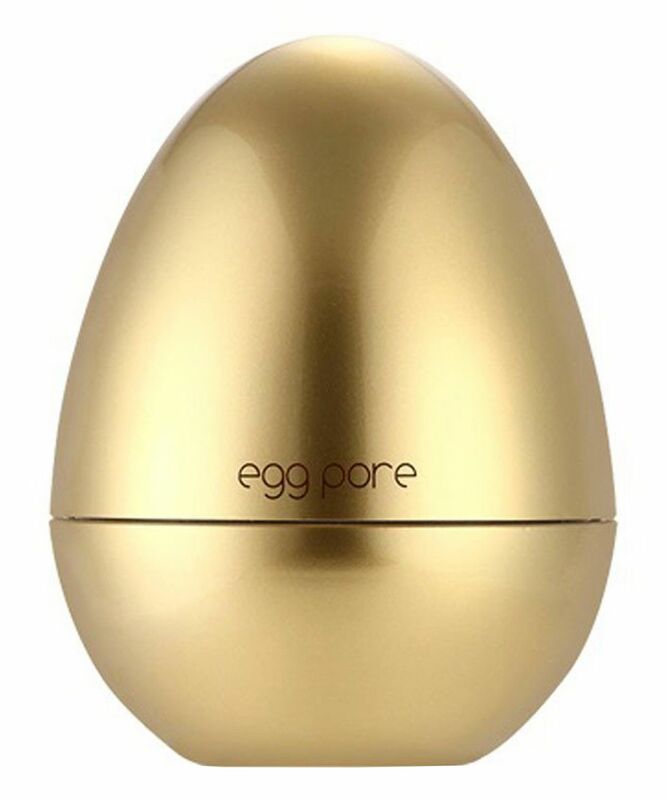 The secret to porcelain-smooth skin, TONYMOLY’s Egg Pore Silky Smooth Balm is a velvety-textured priming potion – ‘filling’ pores and fine lines to create a flawless, even base for make up. Ideal for those plagued by blackheads or enlarged pores, this unifies skin texture and creates a beautiful, semi-matte finish so foundation applies seamlessly. Enriched with pore-minimising ingredients – including ‘tightening’ egg white, elasticising camellia flower extract and purifying red clay – TONYMOLY’s Egg Pore Silky Smooth Balm blurs visibility of imperfections to create an airbrushed skin-finish. Suitable for all skin types – particularly oily, combination or mature – this weightless veil absorbs excess oil to keep shine at bay, whilst ‘filling’ pores, blemishes and scars to create an ultra-smooth canvas. Apply to dry skin after cleansing and moisturising. This can be worn alone to unify uneven texture, or as a priming base for make up. Cyclopentasiloxane, Dimethicone, Dimethicone/Vinyl Dimethicone Cross Polymer, Vinyl Dimethicone/Methicone Silsesquioxane Crosspolymer, Silica, Ceresin, Cetyl Ethylhexanoate, Cyclohexasiloxane, Titanium Dioxide, BIS-PEG/PPG-14/14 Dimethicone, Camellia Sinensis Seed Oil, Limnanthes Alba (Meadowfoam Seed Oil), Glyceryl Linoleate, Glyceryl Linolenate, Glyceryl Arachidonate, Lecithin, Butylene Glycol, Glycerin, Creatine, TEA-Cocoyl Glutamate, Ceramide 3, Caprylic/Capric Triglyceride, Polygutamic Acid, Saccharide Isomerate, Sodium Ascorbyl Phosphate, Lysine, Histidine, Arginine, Threonine, Valine, Tryptophan, Retinol, Ascorbic Acid, Methionine, Isoleucine, Leucine, Phenylalanine, Collagen, Sodium Hyaluronate, Biotin, Polysorbate 20, Magnesium Aspartate, Zinc Gluconate, Copper Gluconate, Copper Tripeptide-1, Acetyl Hexapeptide-8, Palmitoyl Pentapeptide-4, Penthenol, Niacinamide, Sea Water, Alcohol, Disodium EDTA, Water, Tocopheryl Acetate, Glycine Soja (Soyabean) Sprout Extract, Magnolia Kobus Bark Extract, Camellia Japonica Flower Extract, Egg Yolk Extract, Propylene Glycol, Arctium Lappa Root Extract, Calendula Officinalis Flower Extract, Citris Medica Limonum (Lemon) Fruit Extract, Humulus Lupus (Hops) Extract, Hypericum Perforatum Flower/Leaf/Stem Extract, Salvia Officinalis (Sage) Leaf Extract, Saponaria Officinalis Leaf/Root Extract, Propylparaben, Fragrance. I had high hopes initially because the product feels great on application. It blurs pores and smooths skin. 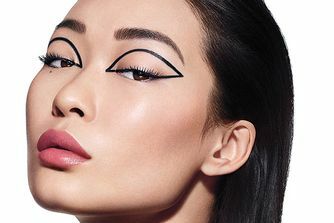 However it was a terrible base for makeup. It caused my makeup to clump up. I didn't use a lot of product yet it was pilling. Overall, makeup looked cakey. 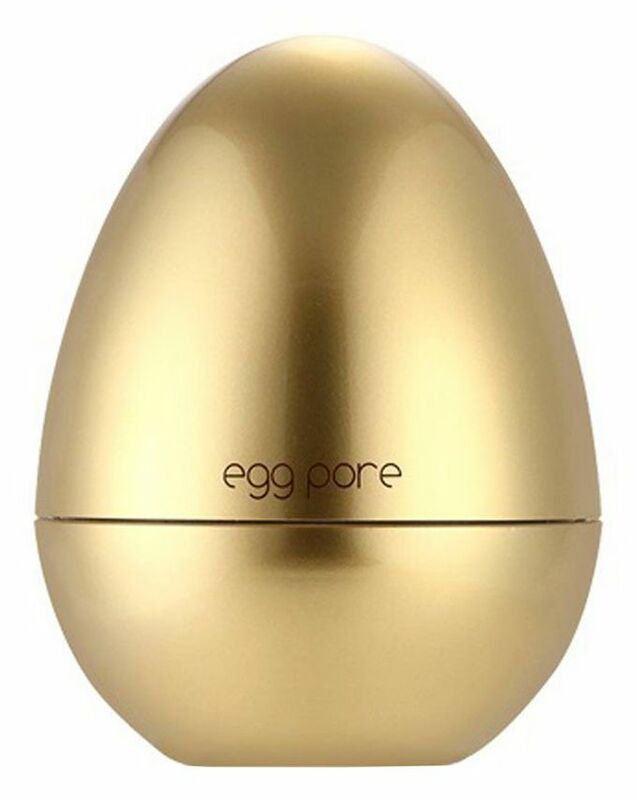 It does fill in my pores well and has a good blurring effect. However I have dry skin especially around the nose area so it can latch on to my dry patches if I don't use lots of moisturizer before hand. Did not last my make up for the day. At midday, my face was already greasy. I have used other products at a cheaper price which does a better job than this. Don't buy. This has Retinal, Copper Peptides, Peptides for anti ageing, Biotin, Niacin-amide, collagen and more! This has a buffet of skin loving anti ageing ingredients to change the skin over time and not just a band aide, it smooths pores out like any other pore primer but actually fixes the skin too! Use a little bit, don’t cake it all over the face. Just in the pores. Press it in. This is hydrating so if you are super oily you may want something drier; this has a few oils and hydrating ingredients so it may not be for all skin types. The price is fair, This is amazing. It is a thick silky balm with a light citrus smell. I apply it with a flat foundation brush to my T zone and then press it in. It controls your oil, makeup looks pretty over it and it prolongs the wear time of my makeup. I don't think it's worth it for this price. It might also be clogging my pores.